Happy Birthday Found - 6 Years Old Today! Happy Birthday Found – 6 Years Old Today! 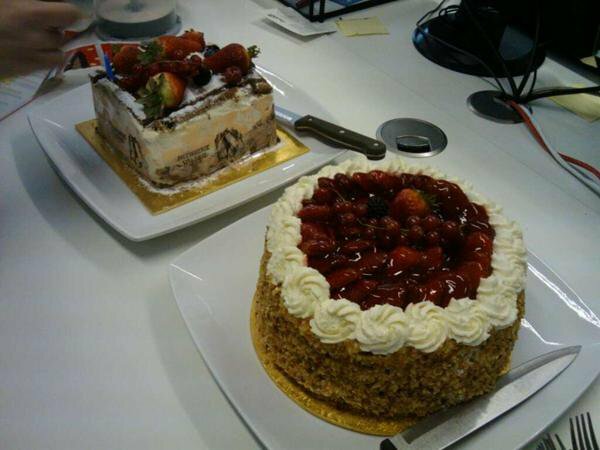 We’ve been celebrating a very special occasion in the office today, as Found (formerly Artemis8) turned six years old! But it’s not for me to comment too much upon this momentous occasion, so I will hand it over to the man who was there from the very conception..
Today, our company is 6 years old. A ripe old age in this industry and a timespan that has crossed great changes in performance marketing. It’s been a fabulous journey…. Back in the summer of 2004, I was a humble antiquarian book dealer. Dusty old leather tomes, maps, copper etchings, all that stuff. We had a web site which we were looking to monetise through affiliates. I was given 2 lessons in “ppc affiliate marketing” by a wonderful chap called Neil Hutchinson. He’d just struck out on his own as an affiliate, said he was doing “quite well” and the best way to learn the business was to become a publisher myself. Ironically (as it turned out) my first campaign was for uSwitch.com, the energy switching web site. I remember the same sense of wonderment when I saw my first sale appear on the Commission Junction sales report as I did 5 years later when Neil told me he’d bought the uSwitch company!! Exciting times followed, taking on staff and developing affiliate campaigns that ranged from holidays in Bali to anti-wrinkle creams! However, behind everything was a vision to create a growing company that would sit at the cutting edge of Performance Marketing. I realised the mistake many small “bedroom affiliates” (god, I hate that expression) made was that they didn’t get out there and press the flesh. It’s a bit of a chicken and egg situation – you don’t get noticed unless you make an impact, but it’s hard to make an impact without being noticed. So, donning my best (only) suit, I set off to meet everyone I could. I was actually incredibly surprised at how friendly most people were – that’s what I still love about our industry, it hasn’t gone all nasty and corporate (and let us all join in solemn prayer that it won’t). It was fantastic to hear the words: “what can we do to help you?” and to find people who would let me spout on about my ideas for campaigns. Industry events were also in their infancy. A4U gatherings were held in small pubs in those days. It was at these events I discovered how brilliant some of my competitors were. I talked, a little awestruck, to the likes of Duncan & Rich at eConversions and Jamie & Mark at UK Web. Incredibly bright folk, who knew an awful lot more than I did about the industry, but who were so kind in offering advice. Those early days were still a bit of a free for all, but as industry regulations were tightened and Google rose the bar time and time again, it was inevitable that our business would need to step up to survive. Our staff now needed proper tools of the trade and we began taking on skilled web designers, coders, account managers, search analysts etc. We even had “futurologist” in one staff member’s job title!! A skilled team needs skilled management and when Tina Judic joined us as MD in the autumn of 2008, I knew our company would be looked after by one of the very best. Tina was known to me from her days at Commission Junction and as soon as I heard she was interested in the role, there were really no other candidates in my book. Anyway, we are now FOUND, in name and metaphorically. Many people have got the company to where it is today, in size and reputation. Massive thanks to you all, from our oldest surviving member Keith Horwood (how do you keep doing it Keith?) to our newest recruit Matthew Freedman. Happy Birthday to all at Found!